After our lunch break at the Royal Exchange we only had a few steps to walk to the next place on our itinerary – the Bank of England Museum. It’s a little known museum with free entry and is only open Monday to Friday from 10.00 am to 5.00 pm. The Bank of England, affectionately referred to as ‘The Old Lady of Threadneedle Street’ where it has its main door, invites visitors into its museum via its Bartholomew Lane entrance. On entering the foyer there was airline type security but this didn’t take long as the museum was very quiet. We were then handed two booklets entitled ‘Your Money and the Financial System’ and ‘Your Money – What the Bank Does’ both of which we have found very interesting. It was our first visit here and we found the exhibits fascinating. There’s something for everyone from interactive displays for children to several interesting galleries. These focused on: Navigating financial storms, the History of the Bank since it was founded n 1694 and the Modern Economy 1946 to present. In the Banknote Gallery we could inspect the new £5 polymer banknote which will come into circulation in the autumn. Some exhibits are displayed in the beautiful Rotunda which is surrounded by statues called caryatids which were original features of the bank. There is also a small gift shop where you can buy ‘coin’ key rings and other souvenirs. After gaining some economic knowledge it was off to visit the legal world at the Inner Temple. To get there we boarded a bus to Blackfriars and walked along the Embankment to the splendid entranceway (see feature image above). The Inner Temple is one of four Inns of Court which are incorporated associations and have been in existence since the 14th century. 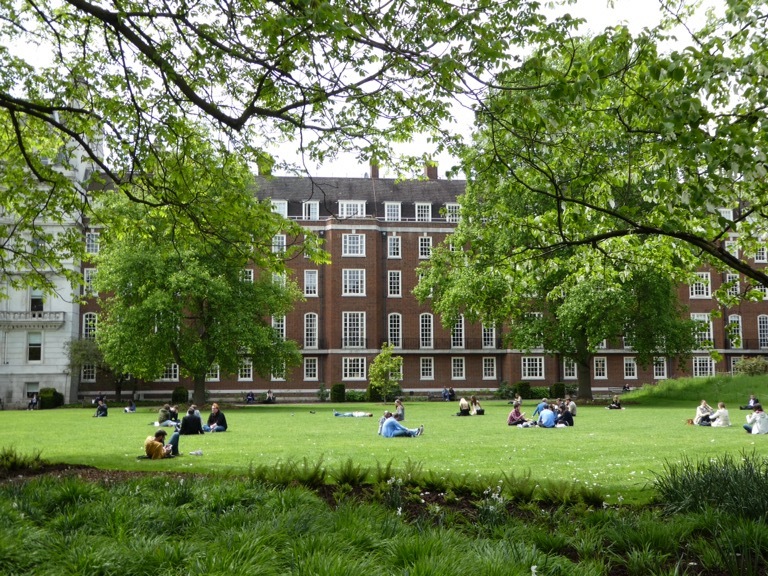 The role of the Inner Temple is to recruit student members, train aspiring barristers and provide continuing professional development for established barristers. The Inn has over 8,000 qualified members including judges, members and pupils. If you haven’t visited before you will be surprised at the size of the estate – small leafy courtyards and cobbled lanes filled with barristers’ chambers. You can visit the 12th century Temple Church originally the home of the Knights Templar – it’s full of medieval effigies and stone heads along with the peaceful Inner Temple Garden. The garden is open to the public between 12.30 and 3.00 pm weekdays and entrance is via the main gates opposite Crown Office Row. 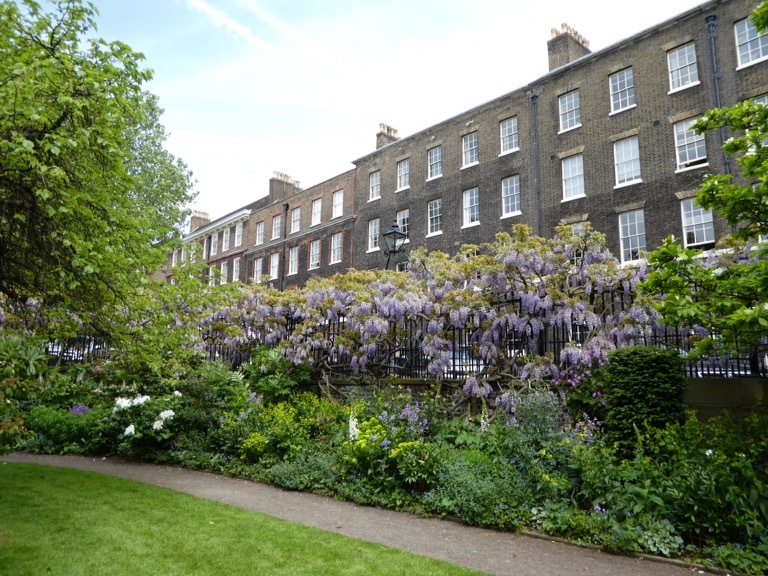 The Inner Temple Garden covers three acres and has many specimen trees and wide herbaceous borders which were full of colour. Interestingly, we noted that the garden would be holding a Chelsea Flower Show ‘Fringe Event’ of posy making – which sounded fun! If you find yourself walking along the Embankment one afternoon, do pop in for a wander round and a few minutes of peace and quiet away from the hustle and bustle of central London – I’m sure you’ll like it and with the exception of the Temple Church, it’s completely free! Leaving the garden, we strolled along the Embankment a short distance to Temple underground station and enjoyed afternoon tea on Piccadilly before looking round Liberty’s which is always a delight. The store is so inviting with its timber framed Tudor inspired building, it’s on Great Marlborough Street with a rear door leading onto the once trendy pedestrianised Carnaby Street. Feeling hungry we headed along the Jubilee Line to London Bridge for dinner near the Tower of London then had a short stroll around the nearby St. Katharine’s Dock where we noticed the Royal Barge, ‘Gloriana’. The Royal Barge was commissioned for the Queen’s Diamond Jubilee and was the lead vessel in the Thames Diamond Jubilee Pageant. Sometimes the barge is moored at Richmond as we have noticed it there, too. The end of another interesting day in London! Oh I’m glad you took a look in there as well. It’s so interesting. 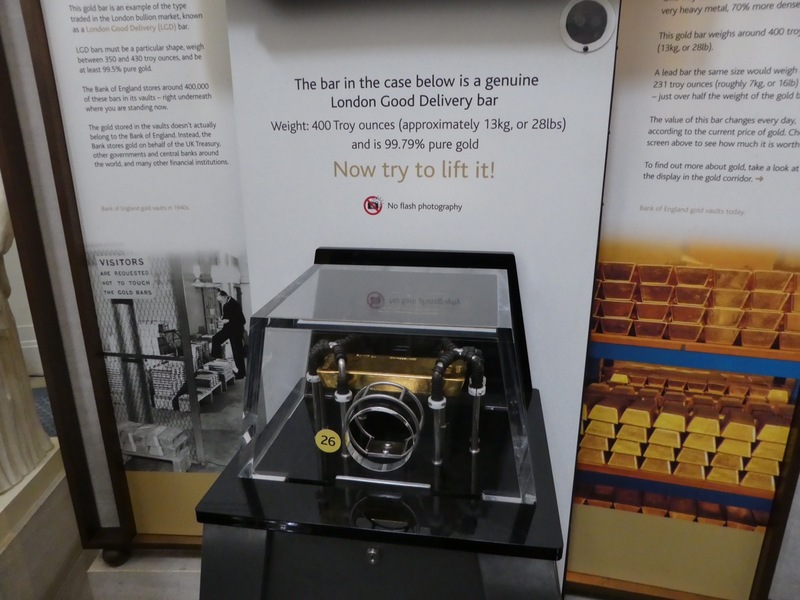 We’ve been inside the Bank of England years ago on one of those Heritage Open Days and found it utterly fascinating. The museum hasn’t really been on my radar, but it sounds great so another place to add to the London list. I always love a peek in Liberty’s too and how great you saw Gloriana! Thanks Joy, the Bank museum was very interesting and I’d certainly return again to look in more detail sometime. I’d definitely recommend the Inner Temple though if you’re near the Embankment. London sure is full of interesting places! Thank you for introducing me to these ones! First-hand recommendations are always the best for places of interest. I think it’s good to hear from locals as sometimes Es lesser known places can be just as nice if not better than touristy locations! Thanks for your nice comment. Seems like a good place! It was very pleasant, thank you! Great and very interesting post. Thank you, we had a good day out. Wow, this is interesting, I didn’t know the Bank of England Museum existed! They don’t seem to promote it, but it’s certainly a great place to look round! Sounds like a wonderful day. We did something very similar on one of our visits to London. IIts so interesting, isn’t it! Gloriana sure is magnificent, like her name! Thank’s Suvi, she certainly is very grand. Just loving this weather now! Bank of England Museum, so interesting. Beautiful photos, I would like to visit the museum and the garden. Maybe some day… Thank you for sharing. It’s my pleasure. I do hope you ha e the opportunity to visit sometime soon. Have you visited London before? Thank you! It’s nice you enjoyed reading my post. Oh thank you, I’m so glad you enjoyed reading it. Didn’t know there was a museum at the BoE. 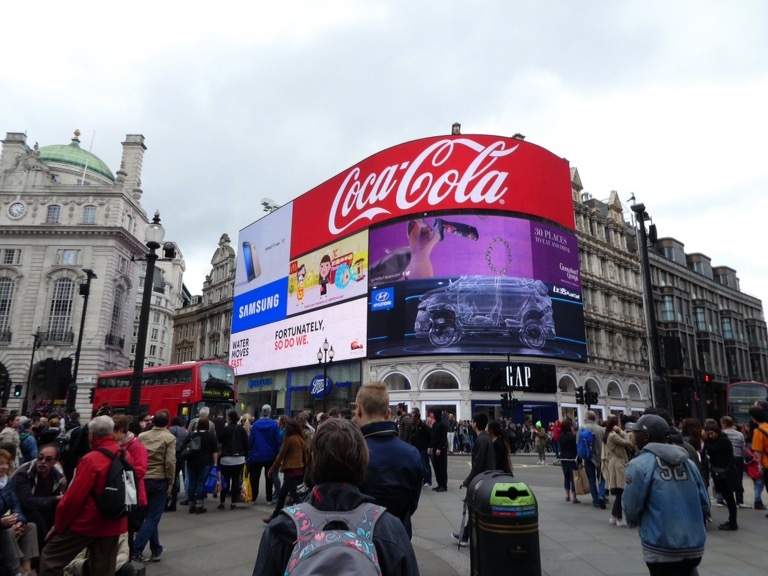 Something free in central London – nice one! Thanks Kieran! Yes, the Bank of England museum doesn’t seem to promote itself but well worth a visit! Thank you! London certainly has some beautiful architecture.